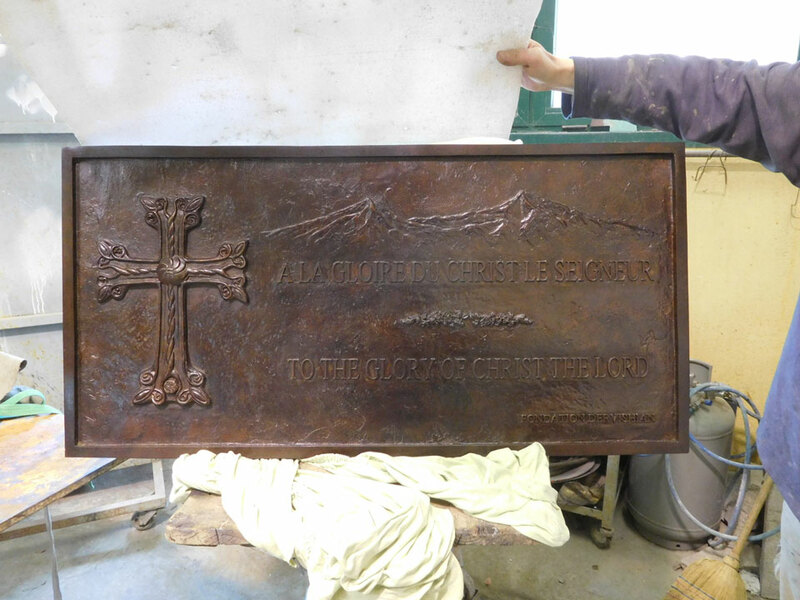 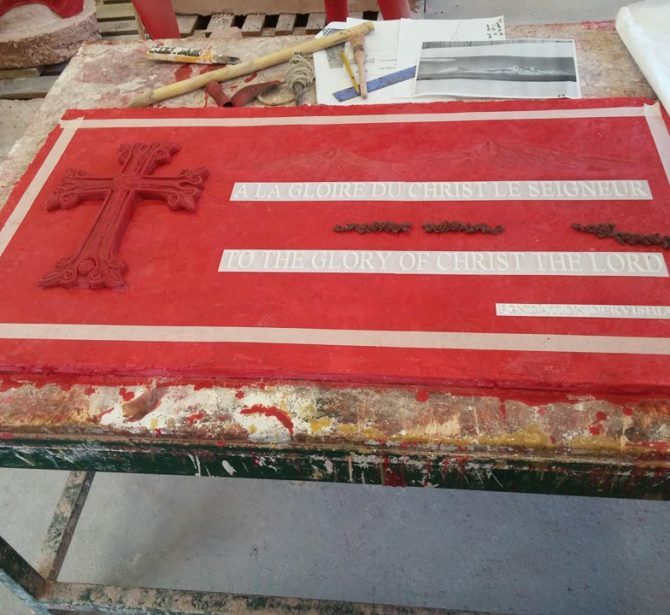 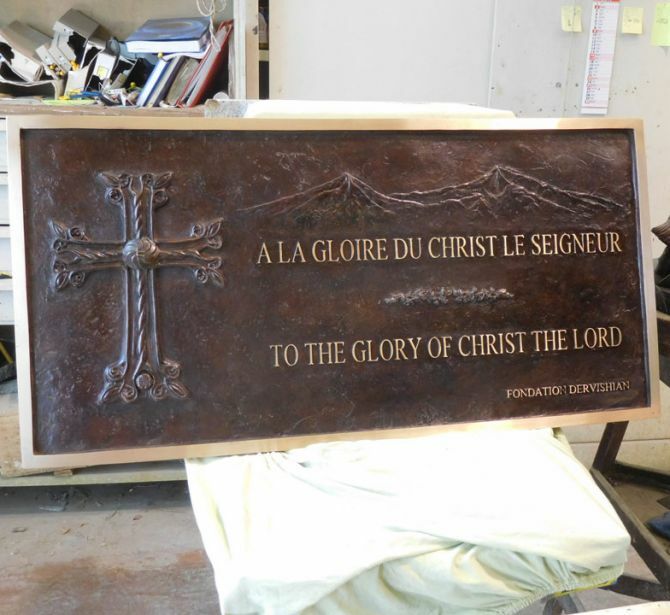 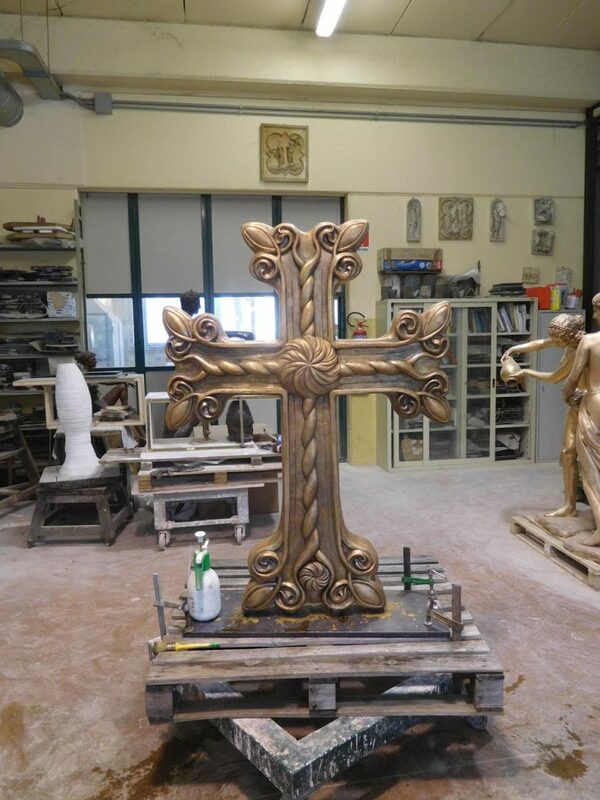 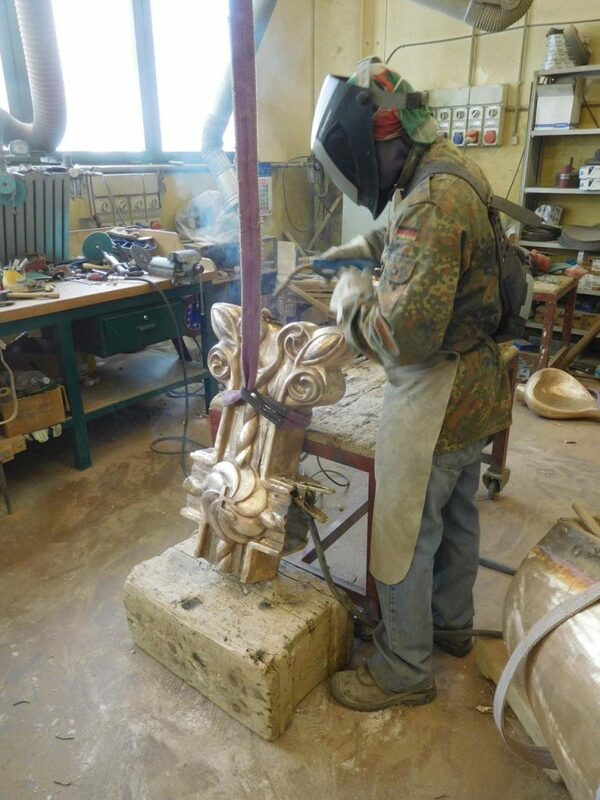 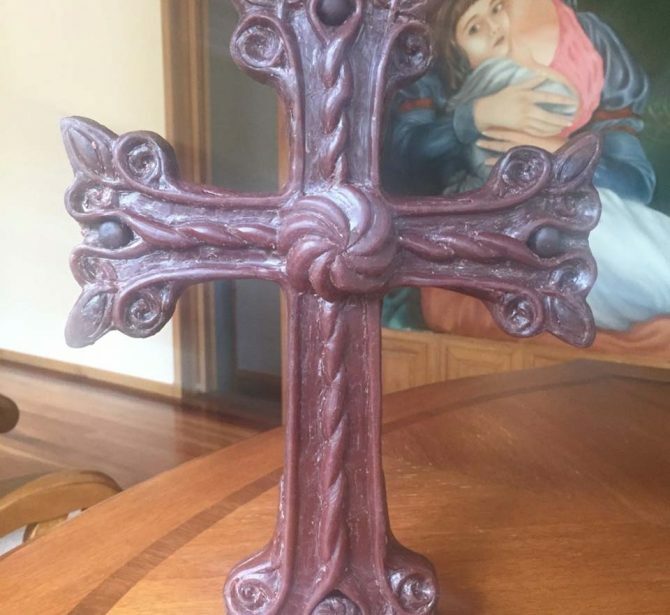 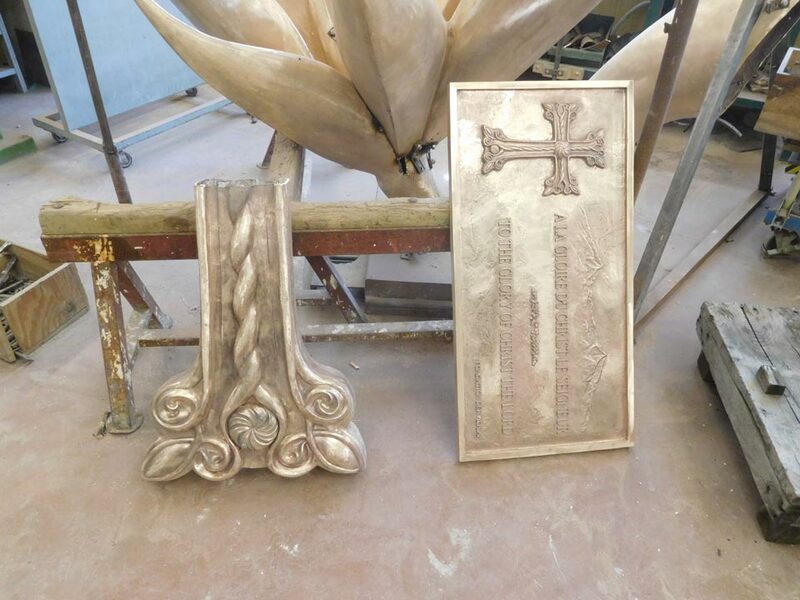 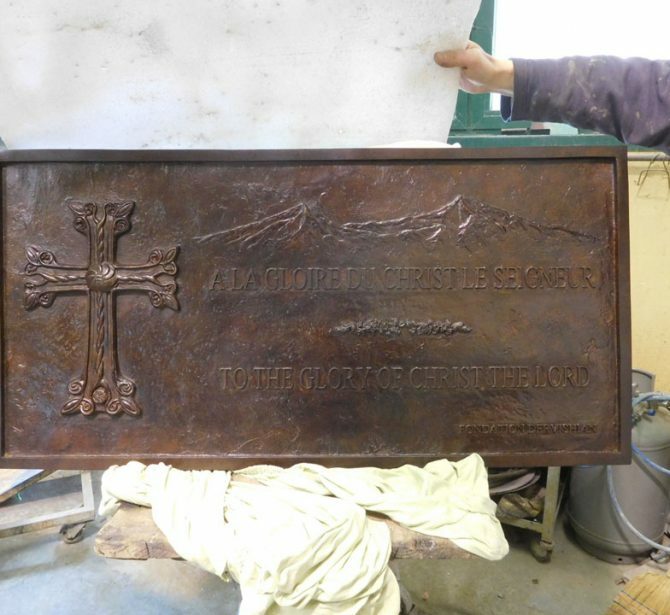 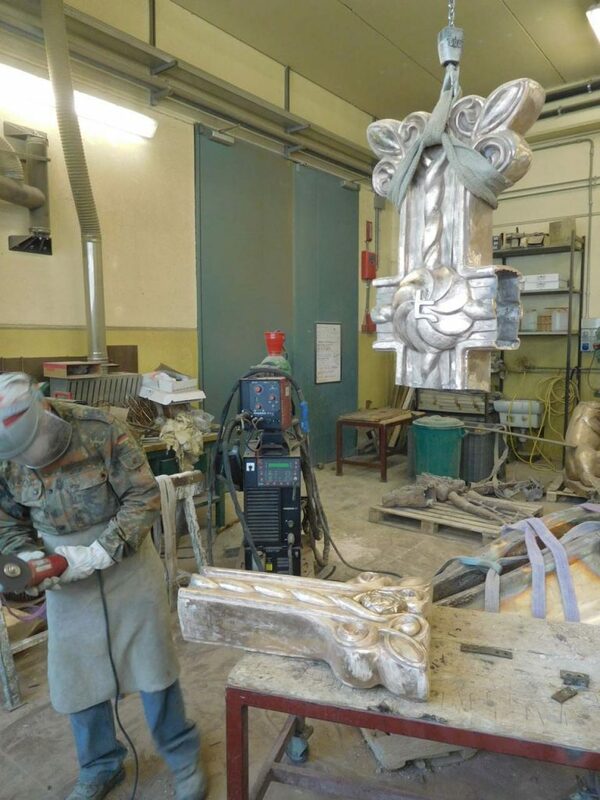 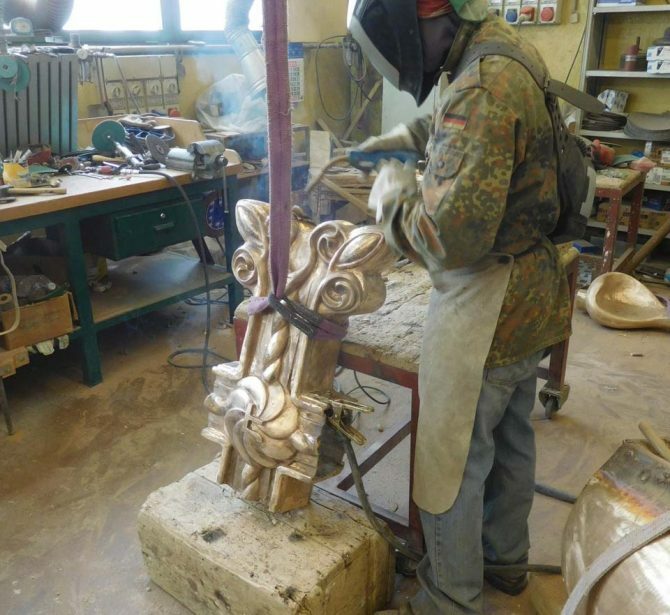 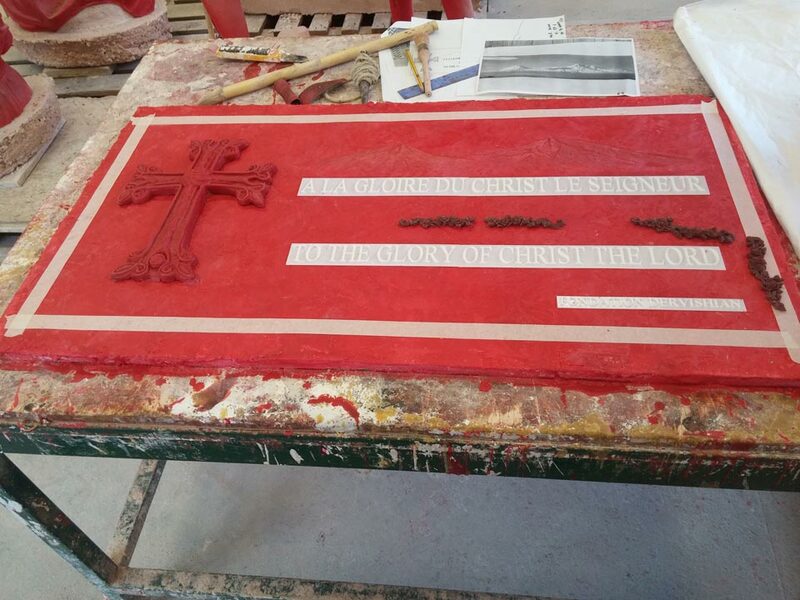 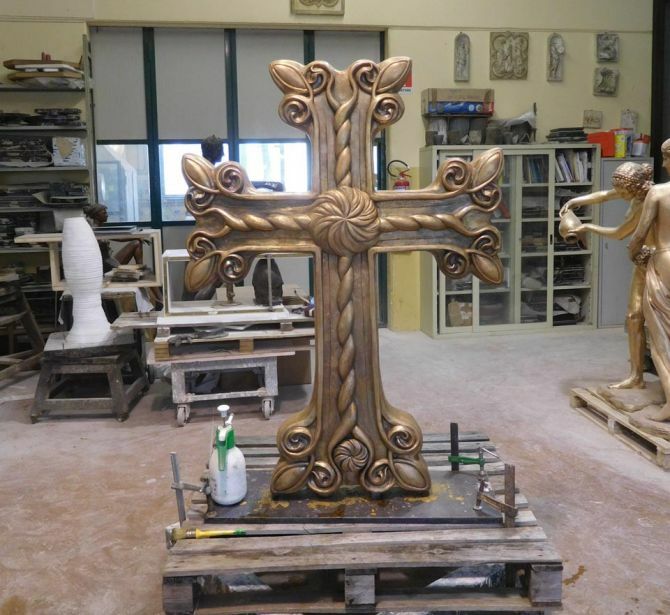 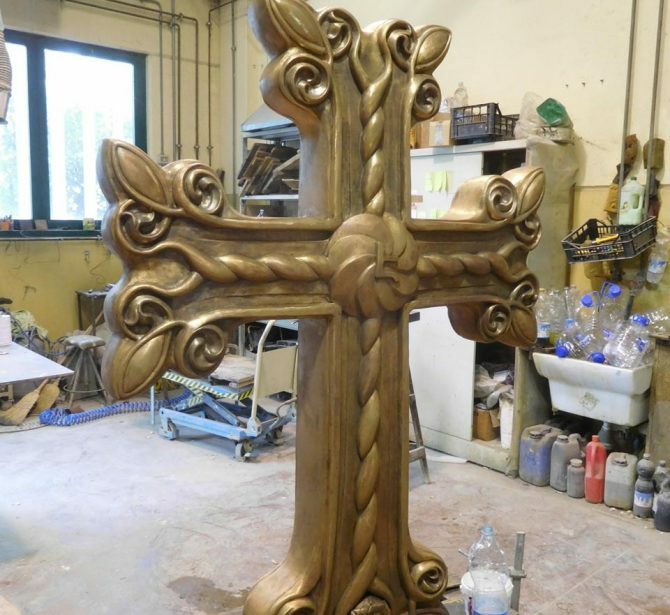 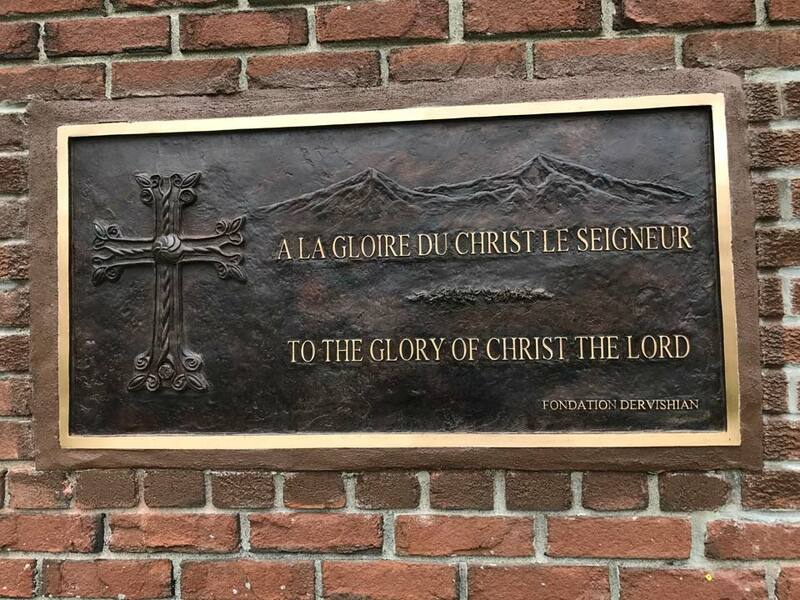 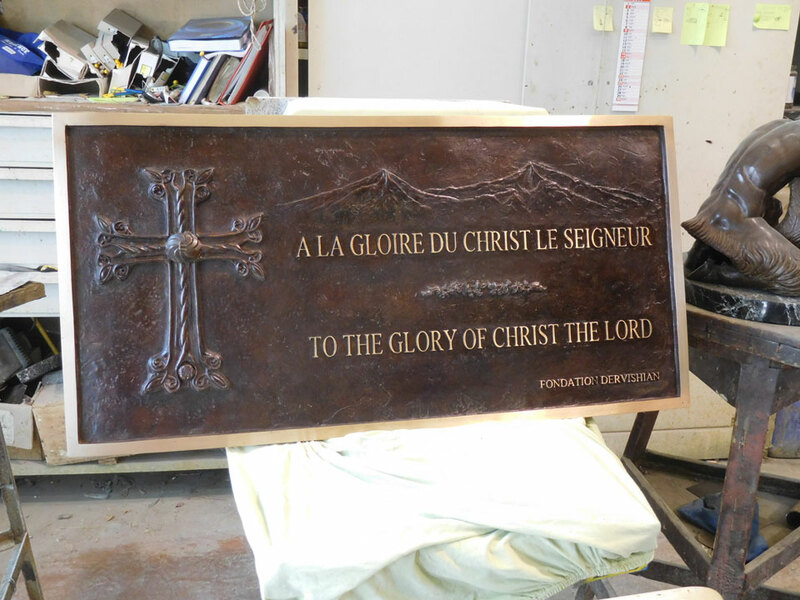 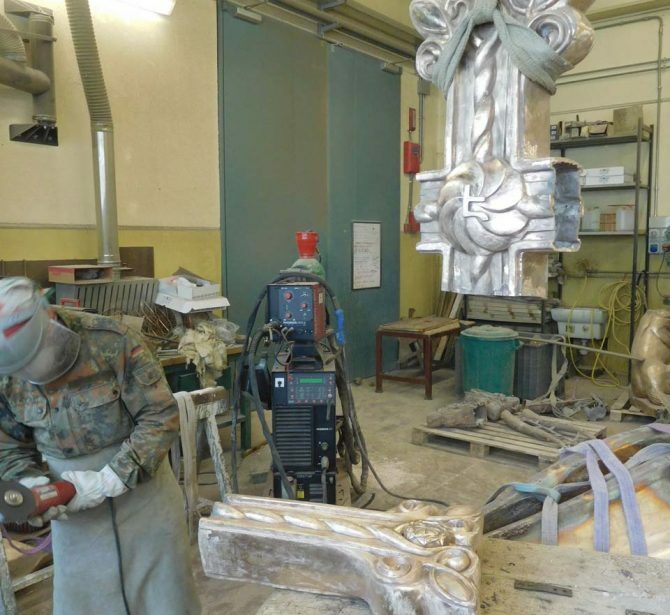 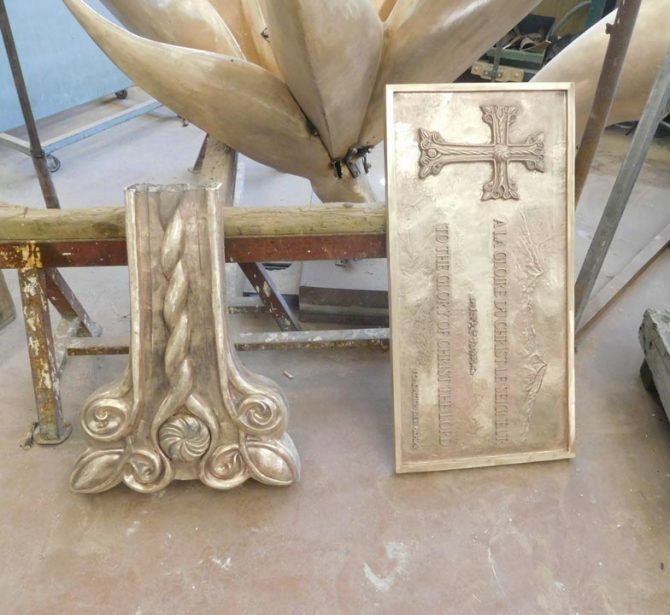 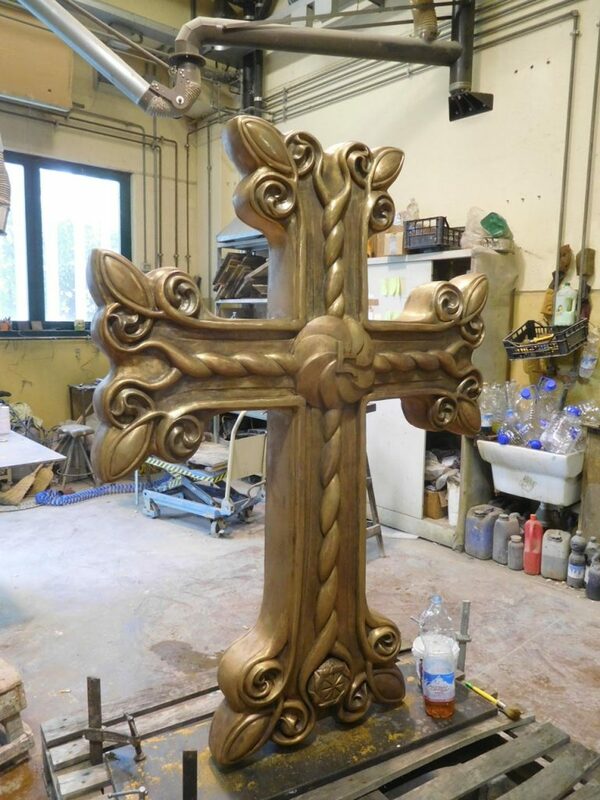 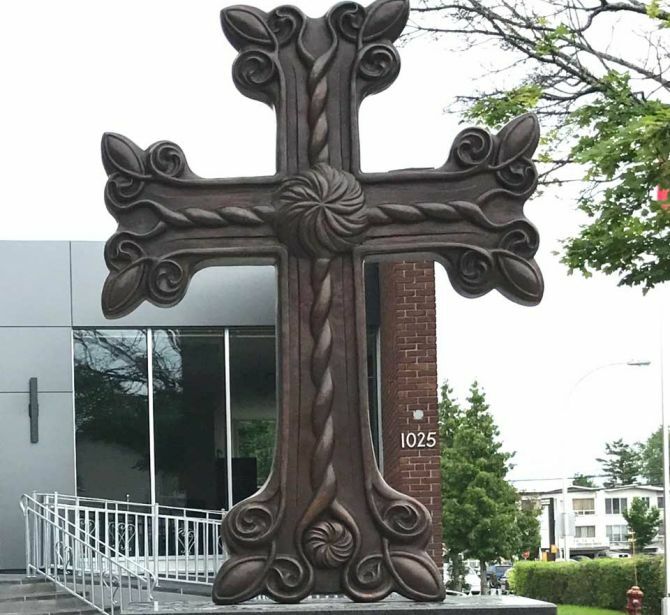 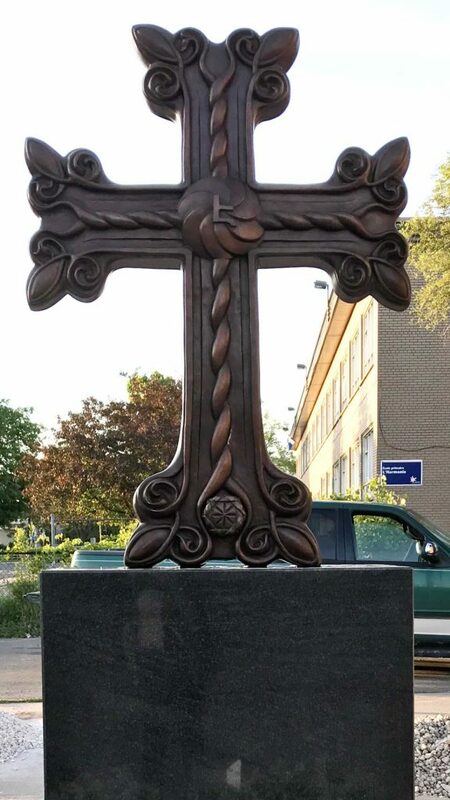 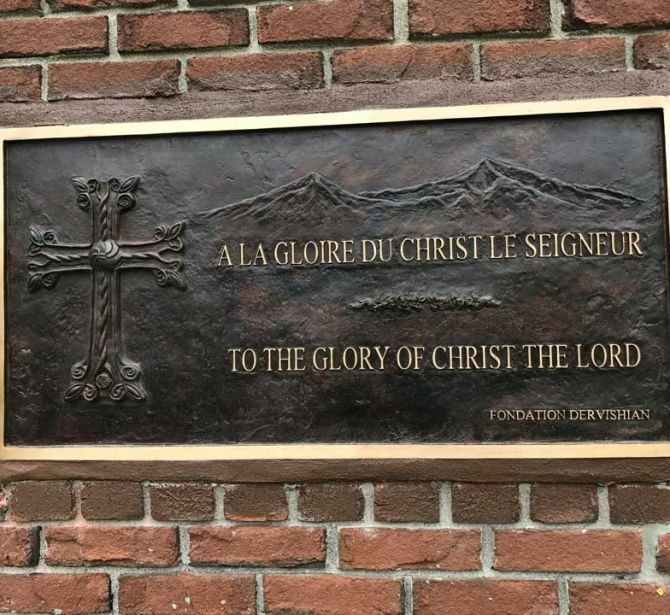 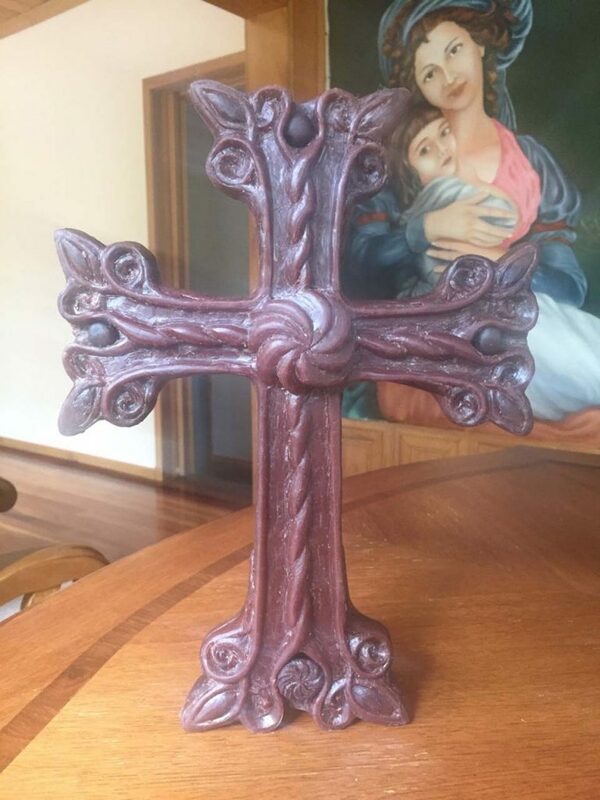 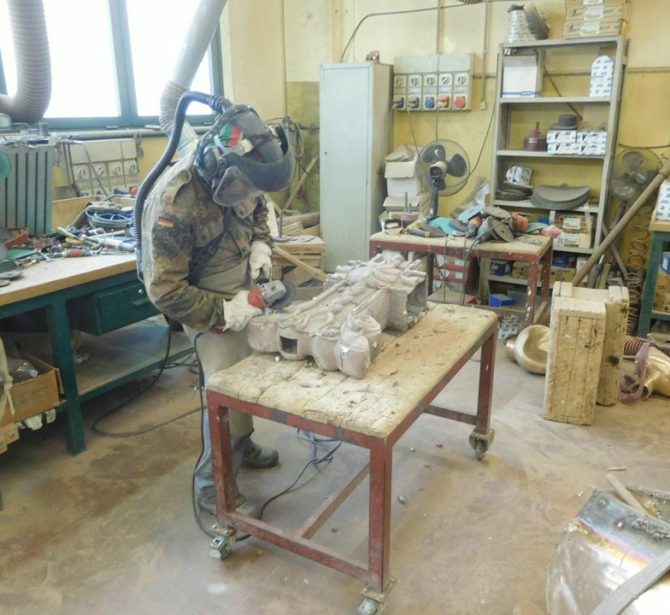 On commission of the Dervishian Foundation of Montreal, Canada, we have created a 1.5 m high Armenian Cross which will be placed on a base made of “Black Africa” granite one meter high, in front of a church, in the same city as the Foundation. 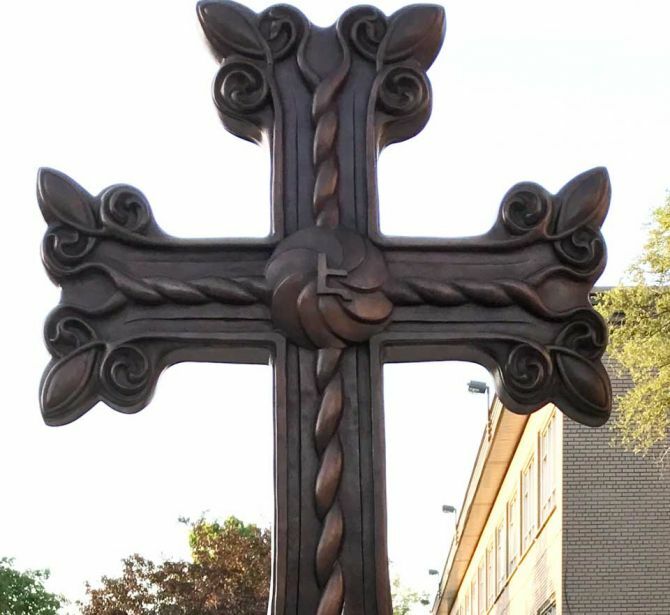 Initially we studied the characteristics of this ancient symbol and the symbolism of the Armenian Apostolic Church. 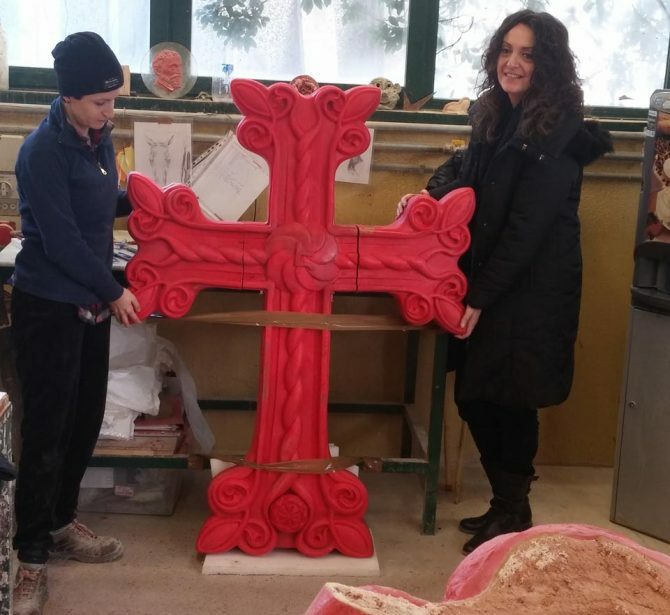 From this study we created a wax model of about 30 cm. 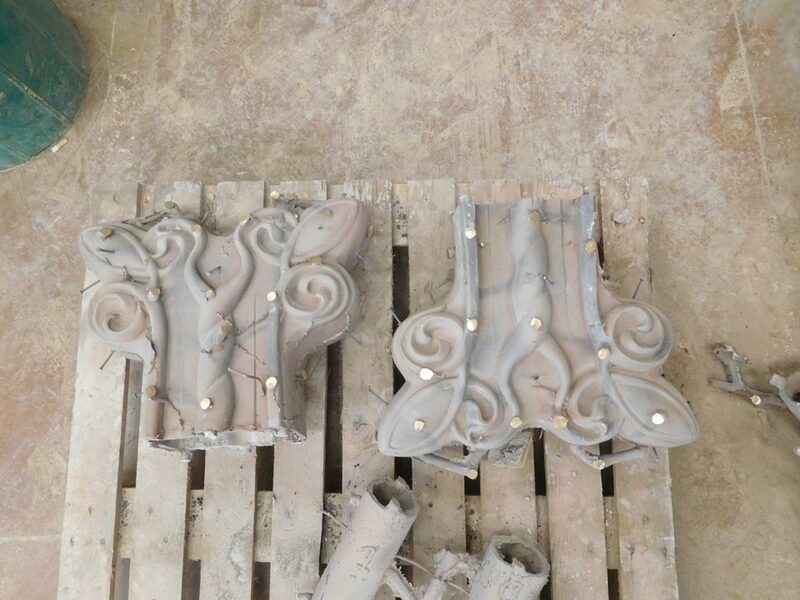 which we have proposed to the customer. 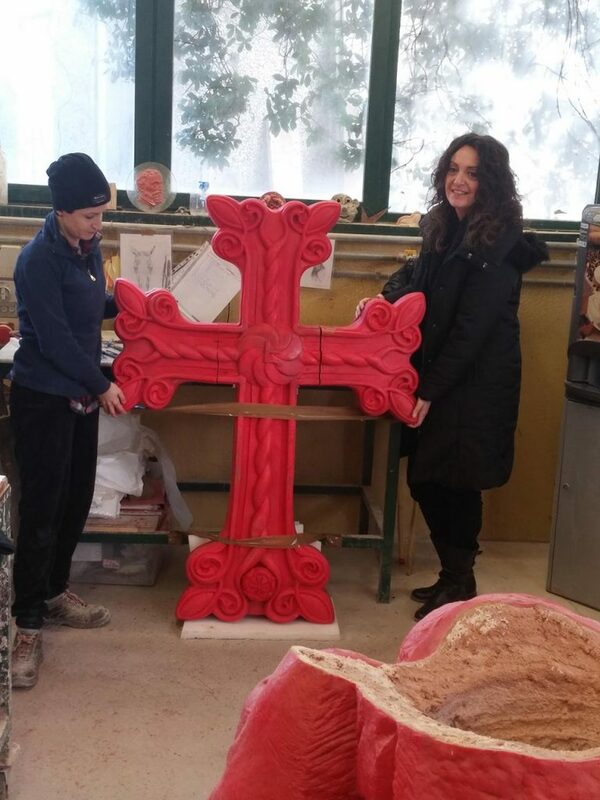 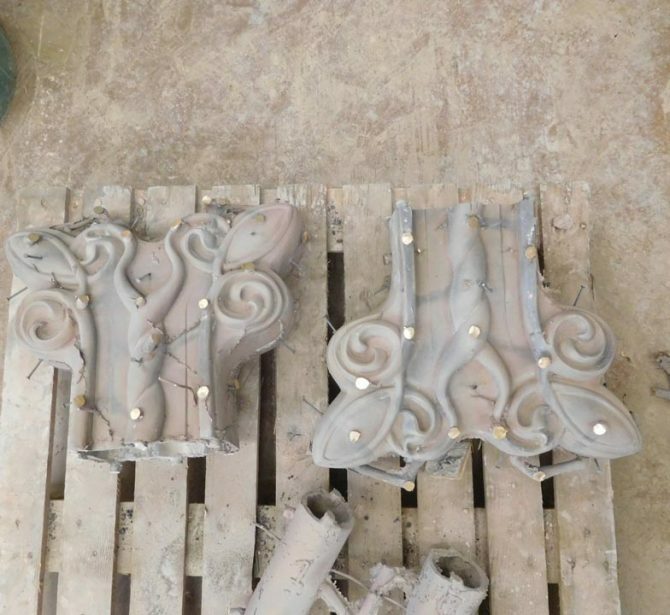 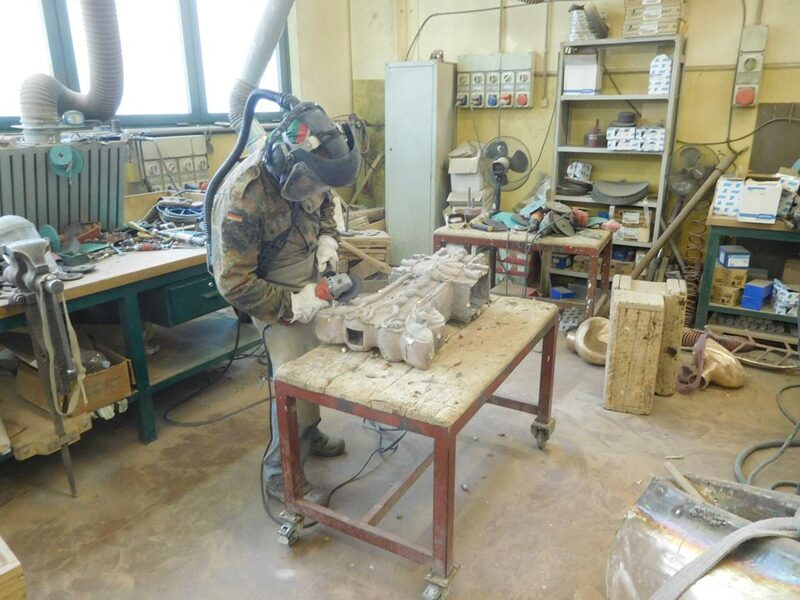 After approval, we have enlarged the model up to 1.5 m. and cast it. 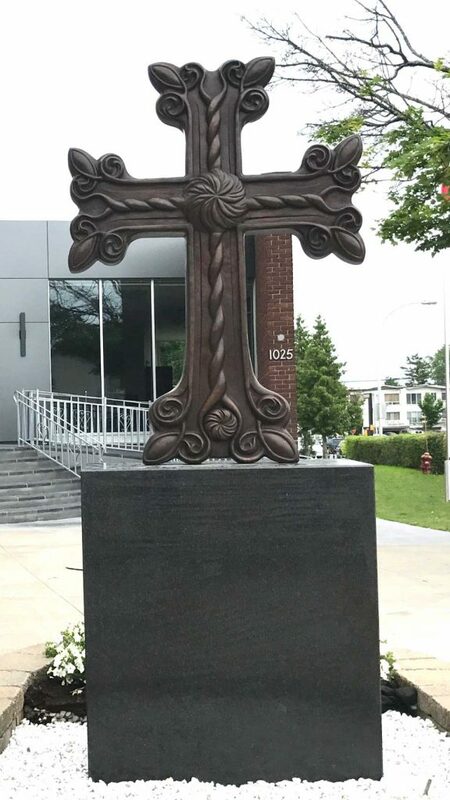 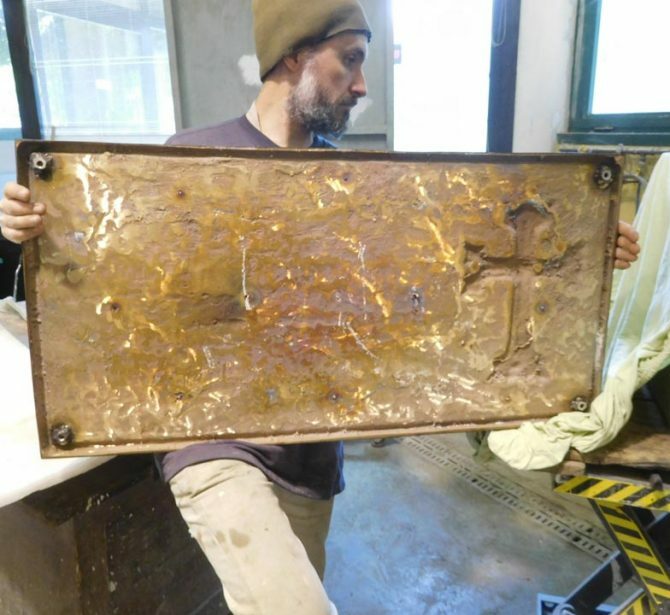 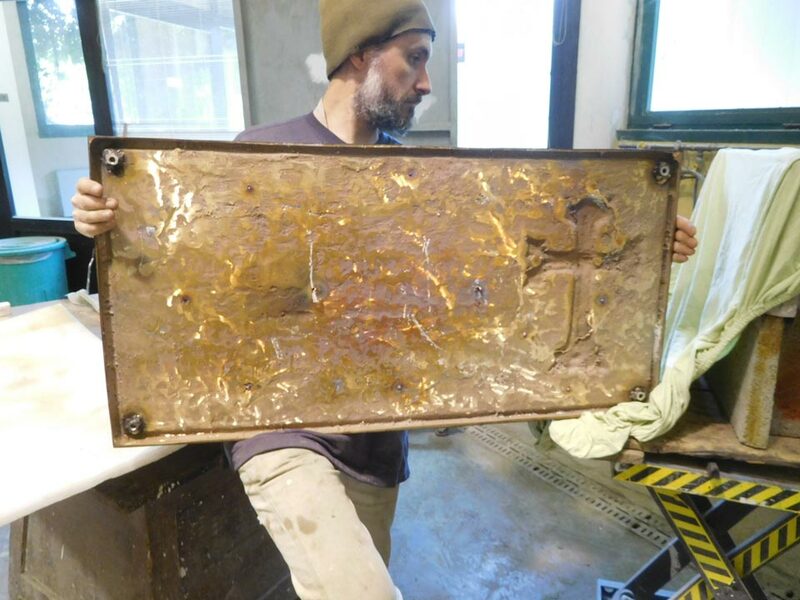 The Cross have then been accompanied by a commemorative plaque depicting the Cross and Mount Ararat, sacred to the Armenians.